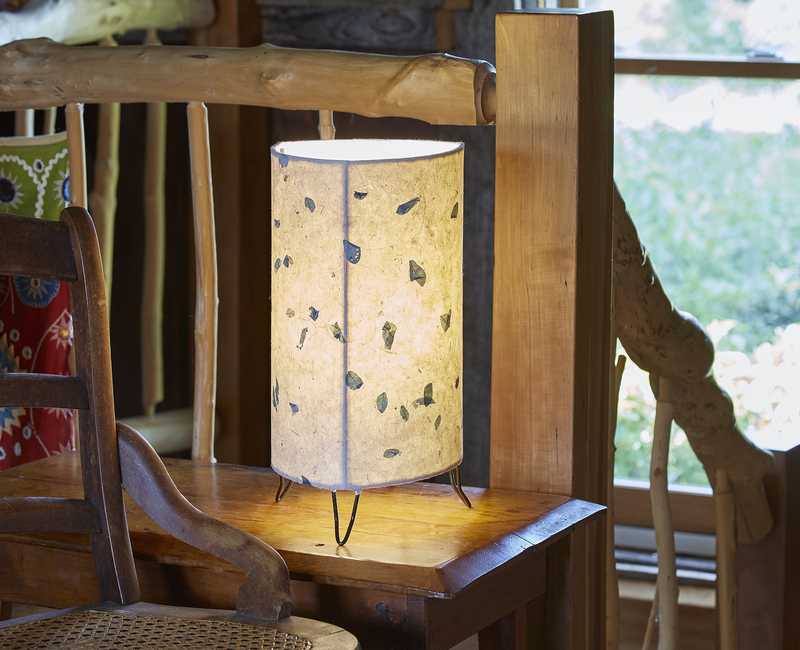 Bring your sense of Zen and calm with these handcrafted paper lamps. 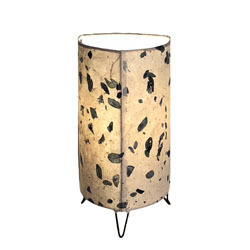 The Bowed Lamp features elegant curves that open at the top and bottom to allow for directional light. 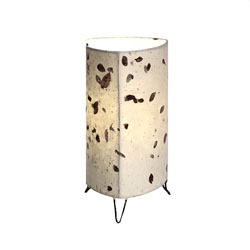 The stylish shade is constructed of handmade paper that is heavily textured or inlayed with natural dried leaves. 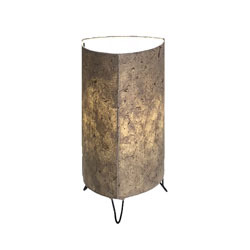 Features handmade recycled paper that is handplaced onto a standard UL lampshade backing then laminated and formed into a bowed triangular shape. 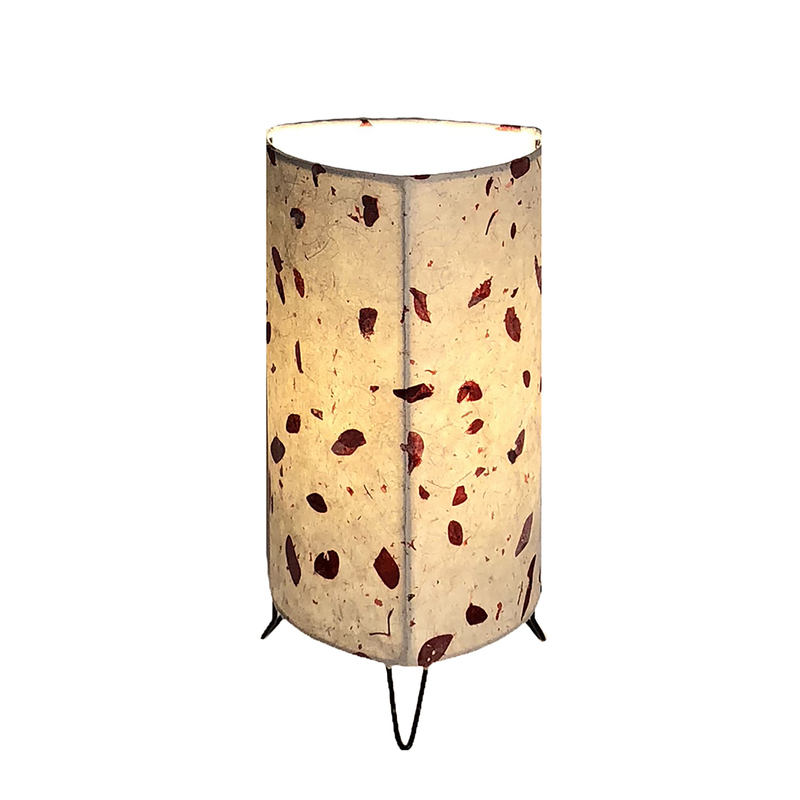 In many cases, various dried leaves are incorporated into the paper to give it visual interest. 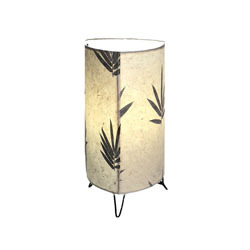 The shade is adhered on three sides to a metal frame and sits on three metal feet.